It's been raining cats and dogs for a few days now. This is the season where we tend to get lazy on what to wear and even shop for our necessities. Well, worry no more as Dresslily is celebrating their 6th anniversary so they have amazing deals on their site. 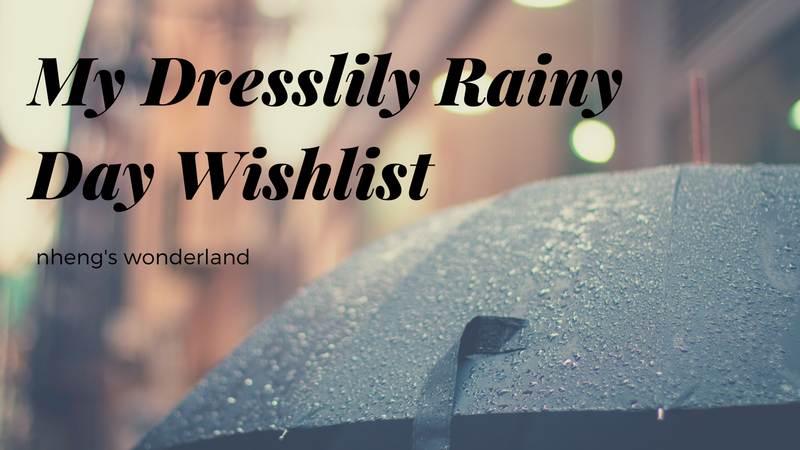 Here I created my rainy day wishlist at Dresslily. You can check this link for the items listed below. Here are the new arrival. Memory foam to provide long-lasting comfort for sleeping upright or face-down. Travelling on this rainy season or having a sleepover, this is ideal for sleeping on airplanes, cars, buses, trains or watching TV, reading, studying, and napping. We can never be sure it there will be a brownout. So yeah this is definitely on my list. These are great toys for kids to help them get distracted and still enjoy their time while indoors. Cute cat face print on the front, ripped sleeve adds a bit uninhibited attitude, suitable for all kinds of age. Such a casual and cute style is found in this printed pants. It has cute cat pattern adorns throughout the pants. A great partner to the Cat Face Printed Ripped Long Sleeve T-shirt above. Unicorn is love! Casual novel hoodie with drawstring featured in street wear style, letter graphic with a big front pocket and pretty unicorn hood design. Put on those rain boots and you are good to go! Brave the flood with this fashionably stylish shorts! Also check these Promo codes just for you!